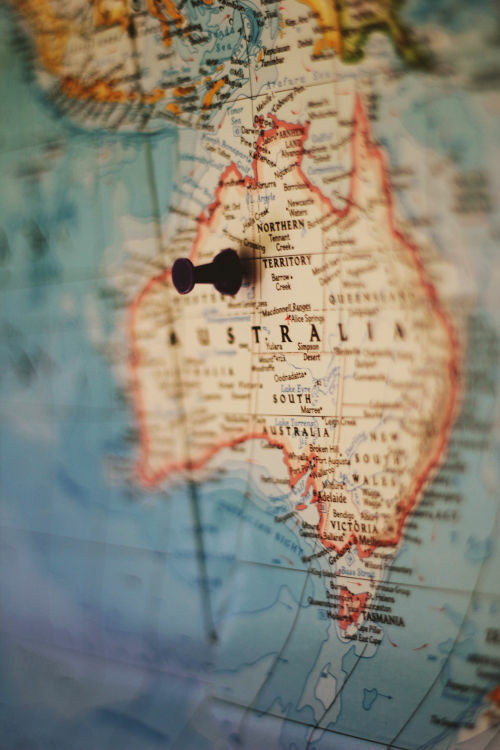 I've already done a couple of posts about our honeymoon (that you can read here and here), but I thought it'd be fun to show you our itinerary before continuing with more posts from Down Under. Our journey couldn't have had a wider variety of landscapes: rainforest, ocean, desert, skyline, animal sanctuary. 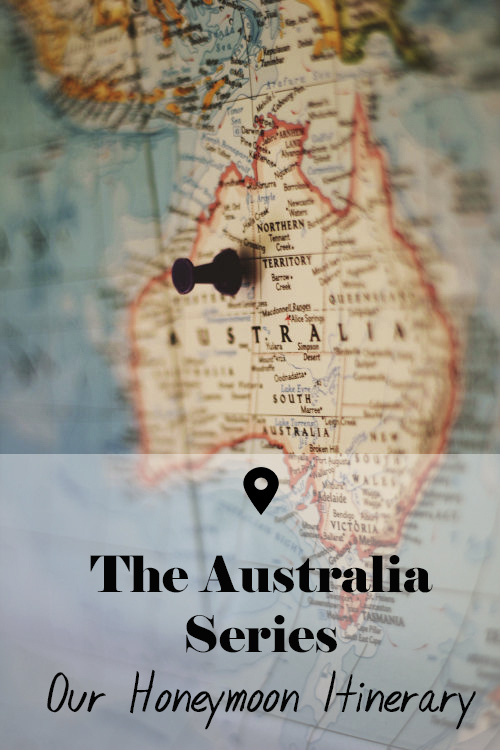 It took us 8 flights and 15 days to see the most amazing places in Australia. P.S. I want to share a little Photoshop trick that will come in handy at some point in your lives. This collage took me hours to make and silly me I wasn't saving the files while working... If you are acquainted with Murphy's Law you may be able to guess what's coming next. Yes, Photoshop crashed and I thought I had lost everything. I googled "restore Photoshop files" and saw the light. There's a hidden folder in your computer called "Autorecover" and that's where all your Photoshop work is. Phew, I was saved. P.P.S. Pin the map below if you liked this post to help spread the love. Thanks for your support! I went to Australia a long long time ago! It was incredible and yet I feel like there is still so much to see! Glad you had the opportunity to go! ohhhh that itenerary definitely looks good!! I'm so jealous - Australia looks like such a fantastic place to visit! Love your itinerary... I haven't visited Cairns yet... Hopefully will go there next year. I love the image you made. Looks lovely. Looks like a fun honeymoon Australia travel. Hope you had a great time! Oh what a fun trip, you've seen so much of Australia! We are just back from Sydney, but other than a few trips to capital cities I haven't seen much outside of Brisbane - you've fit a lot more into your honeymoon than I have in all my years of living here, haha! Australia has a lot of things to offer that you can only know by being out there. Gold coast is a good place to stay. More beaches and lots of pubs in there. Your photos are awesome. I really love reading travel posts like this. Thanks for sharing dear. You must go, they are beautiful!